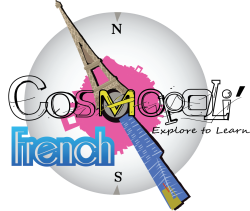 Improve your understanding of French language and culture with these free resources! France is closer than you think! With living in a non-French speaking country, the chances of being immersed in the French culture and being exposed to the French language can seem pretty limited. But, if you keep an eye open, you will see that some opportunities exist…. We are going to teach you how to inject a bit of French flavour into your existing daily activities. Seven funny and embarrassing mistakes in French. Want to learn some more? Join our mailing list!